Volvo’s mission is to make people’s lives easier, safer, and better by instilling their three core values of safety, quality, and care into each one of their vehicles. 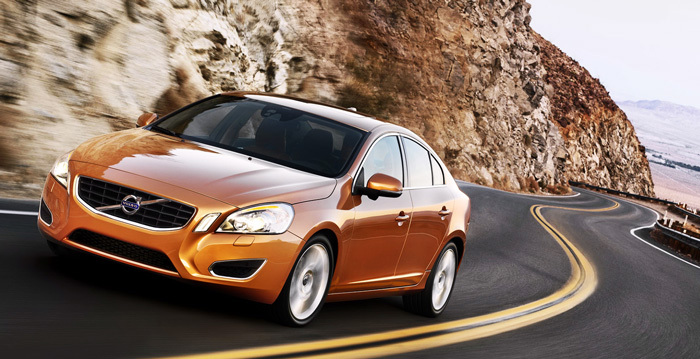 Like Volvo, we operate on the same core values in each of our Volvo repairs. When your Volvo is damaged, you want to make sure it’s repaired back to its pre-accident condition. That means the safety, quality, and overall look needs to be restored to the fullest. The only way to do this is to follow the manufacturers strict standards by using only OEM parts and factory certified paint. In need of Volvo repair services? Give us a call at (410) 833-5697 or fill out a form to get a free estimate. In order to properly restore your Volvo to manufacturer specifications, it takes skilled technicians that are certified to perform high-quality repairs. At ACS, we pride ourselves on having a very experienced team of collision repair technicians. All technicians are certified in ASE, I-CAR, ASA and many other industry standards. However, it doesn’t stop there. Each collision repair technician goes through continual training to ensure they’re up to date on the latest industry standards. Here at ACS, we promise to return your vehicle to you in a timely fashion while returning your Volvo to you in the best possible condition. ACS’ standards when it comes to aluminum body repairs, are top notch. With a Mercedes-Benz Tier 2/ELITE Certification for Aluminum Structural Repair, ACS has been able to produce high quality repairs for over 35 years. Our aluminum repair facility is a clean, air tight room built to prevent dirt and debris from disrupting the process. With more and more vehicles being made of Aluminum, it’s important to know there’s a certified shop in Reisterstown able to repair your Volvo correctly. When returning your vehicle to its pre-accident condition, using the highest quality paint is a very important part of the Volvo repair process. We only trust Sikkens superior paint systems to provide an identical match to your vehicle’s pre-accident condition. We use Sikkens paint systems for its ability to dry quickly at low temps for a much greener environment and the variety of colors that match most vehicles on the market. ACS stands by every paint repair job done in our shop. That’s why there is a lifetime warranty for all paint repairs. At ACS, we believe in following OEM standards. OEM (Original Equipment Manufacturer) parts are made by the manufacturer to precisely fit your Volvo. When replacing the damaged parts with OEM parts, there aren’t any gaps, uneven fitting or guess work involved. You receive greater quality parts that are meant to work with your vehicle for a better performance. Family owned and operated since 1980, ACS continues to provide Baltimore and the surrounding areas with the highest quality collision repair services available. Using the latest technology, certified technicians and precision paint jobs, we are dedicated to preserving the re-sale value of your vehicle while returning it to its pre-accident condition.